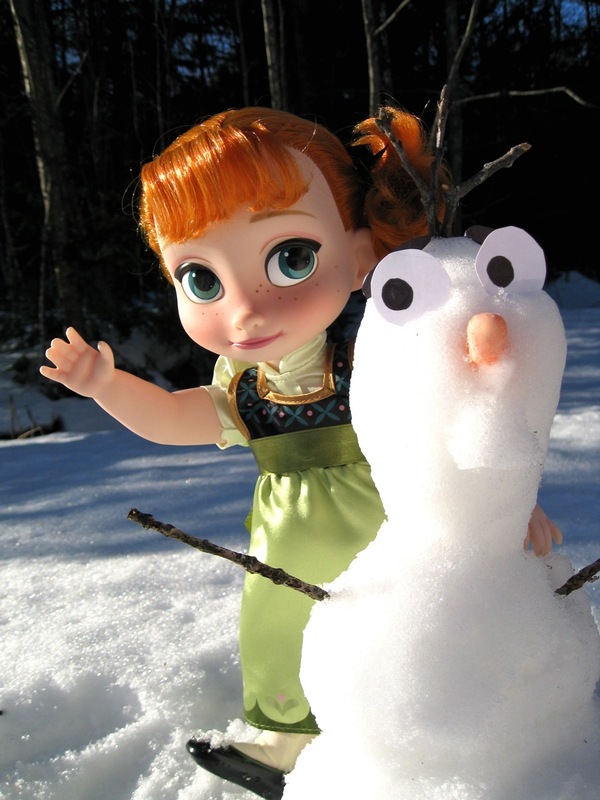 "Frozen" Dolls from J.C. Penney and The Disney Store: A Quick Update! Well, I got distracted from the review I was working on by the arrival of a few J.C. Penney Frozen dolls that I ordered right after my Singing Elsa review (did I mention I was obsessed?). This will be a brief post, but since I recommended the J.C. Penney dolls in the comments section to several of you (with incomplete information) I wanted to post a summary of my observations as soon as possible. My understanding was that the J.C. Penney 12" Frozen dolls are exactly the same as the dolls being sold at the Disney Store, just wearing simpler outfits. That's what it looked liked in the pictures, anyway. This is not the case. The dolls are actually different in ways that I think are important. At the risk of inflicting Frozen overload, I will (quickly!) 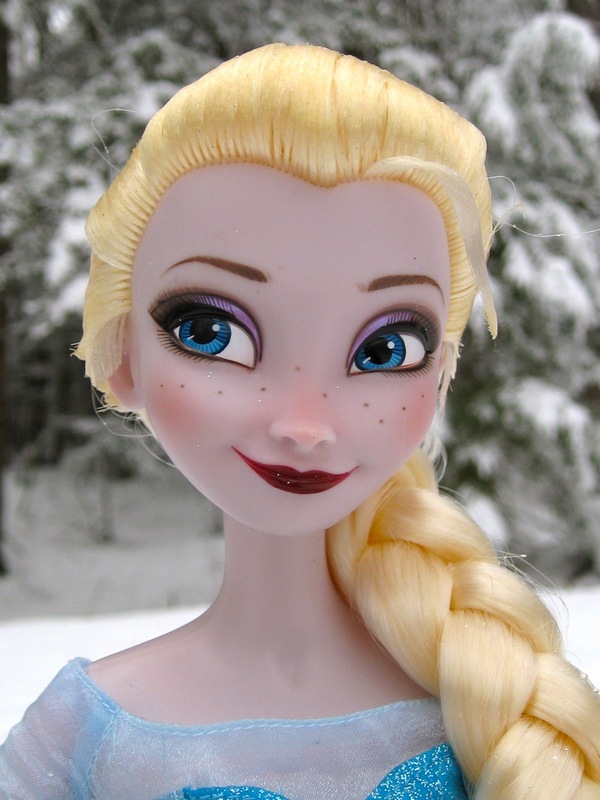 show you my 12" Elsa from J.C. Penney. I will also show you the basic differences between the Animators' Collection toddler Anna from the Disney Store and the version of young Anna that is being sold at J.C. Penney. Animators' Collection Anna from Frozen (Disney Store). There has been a lot of talk lately about the new Girl of the Year from American Girl. Isabelle is a fair-skinned, blonde, hazel-eyed ballerina who likes to design clothing. There's certainly nothing wrong with any of these traits (or with the doll--she's very cute), but there's also nothing at all exciting or new about Isabelle. At first glance, she seems an awful lot like McKenna. As a consumer, this doesn't bother me. Since I only have one American Girl doll, I'm not relying on the Girl of the Year to add something new to my collection. As an impassioned observer of the doll world, however, Isabelle is disappointing. The Girl of the Year series seems like a wonderful opportunity to introduce a character that is surprising, timely or unique in some way. Mattel could have done something to represent the incredible diversity of this country--while keeping the popular ballet theme. I mean, just watch the wonderful documentary, First Position, and pick almost any of those amazing young women as an inspiration. Anyway, I am bringing up this topic not because I want to upset people or spark a debate, but simply because I want to draw a contrast and explain my rationale for this review. Discussions about the lack of diversity in the Girl of the Year series made me think about doll diversity on a larger scale. This thought process led me to discover a new 18 inch play doll that represents a minority I have never seen portrayed in the doll world before. "Grace" by Extra Special Dolls. The Disney Store's "Singing Elsa" Doll from the Movie "Frozen"
Well, I finally went to see Frozen last week, and have become completely obsessed. I took my whole family to see it again last night and then rushed home and pre-ordered the DVD. I sing Let it Go in my sleep, cry when I hear Do You Want to Build a Snowman, and laugh every time I think of Olaf's face as he says, "I don't have a skull...or bones." What a great movie! I'm grateful to Julia for writing her guest review of the Disney Store's Anna and Elsa dolls, because if she hadn't taken the initiative, I never would have purchased any Frozen dolls right away, and now they're sold out almost everywhere and insanely hard to find for a reasonable price. Of course the dolls I really wish I owned are the Disney Store's limited edition dolls--especially the set with Anna in her coronation dress and Elsa in her ice dress. I always at least consider purchasing these Disney collector dolls when they are first announced, but all four of the Frozen dolls sold out in minutes and I was too slow to get one. Singing Elsa Doll from Frozen, $39.95. 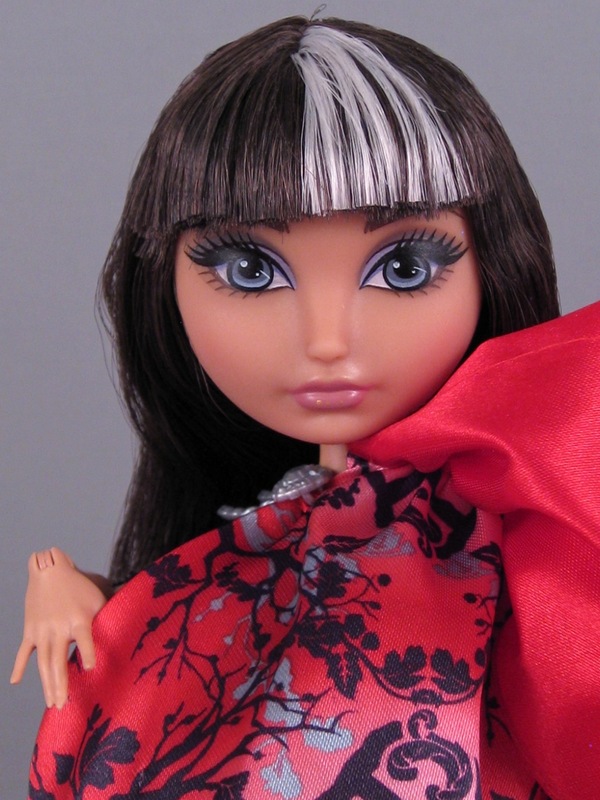 Ever After High "Cerise Hood"
This review is meant as a companion to my C.A. Cupid review. I couldn't decide between Cerise and Cupid when I was browsing all of the new Ever After High dolls at the store, so I decided to get both of them and pass on the newer Monster High dolls--at least for now. I would say that, in general, I am much more of a Monster High fan, but I guess the newness of the Ever After High line still intrigues me. I am curious to see how this line will evolve. Ever After High "Cerise Hood." Ever After High "C.A. Cupid"
While I was doing my "research" at Target the other day, I noticed a ton of new Monster High and Ever After High dolls. The Monster High additions were from the "Frights, Camera, Action" series and also from a new group called "Sweet Screams" that I had never seen before. 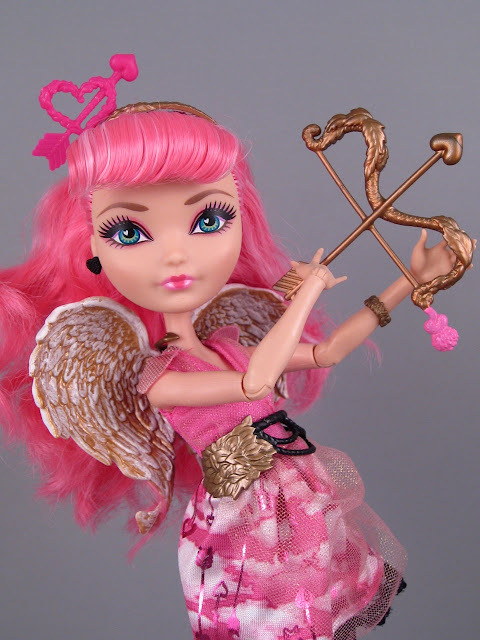 The Ever After High additions included Cupid, a new "Getting Fairest" Maddie Hatter and Apple White, and the highly anticipated Cerise Hood. I was going to choose one new Ever After High doll (Cupid) and one new Monster High doll (Sweet Screams Frankie--she's crazy-fancy and fun), but the Ever After High girls were really hard to resist, and so I left with two of them: C.A. Cupid and Cerise Hood. I will review both of these dolls in two posts. Ever After High's new C.A. Cupid doll. I get inspired to write reviews for a number of different reasons. 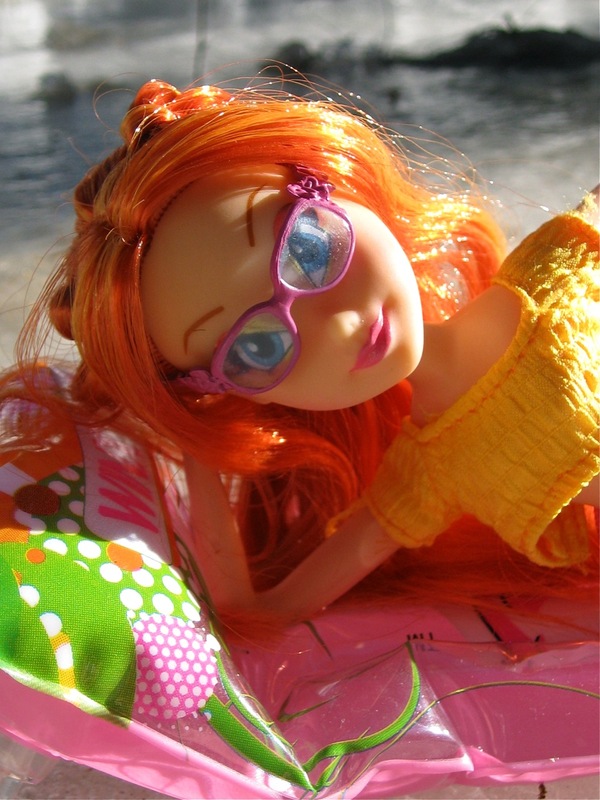 Often, there is just a doll that is new and exciting and I want to get a close look at it. I can also be motivated by special dolls in my collection, conversations with friends and family, the wonderful tips I get from you, and from shopping trips and online browsing (which I like to call "research"). This particular review has several origins. I wrote a review of Winx Believix Bloom back in 2012 (here's the link). The desire to write another Winx post started because of the simple fact that I have been noticing Winx dolls a lot lately. I have been impressed by the steady stream of new dolls in this line, but have gotten into the habit of just stopping to admire the new dolls--not actually purchasing any of them. The recently released Believix Power series proved too tempting to resist. Believix Power Tecna will make an appearance at the end of this review. 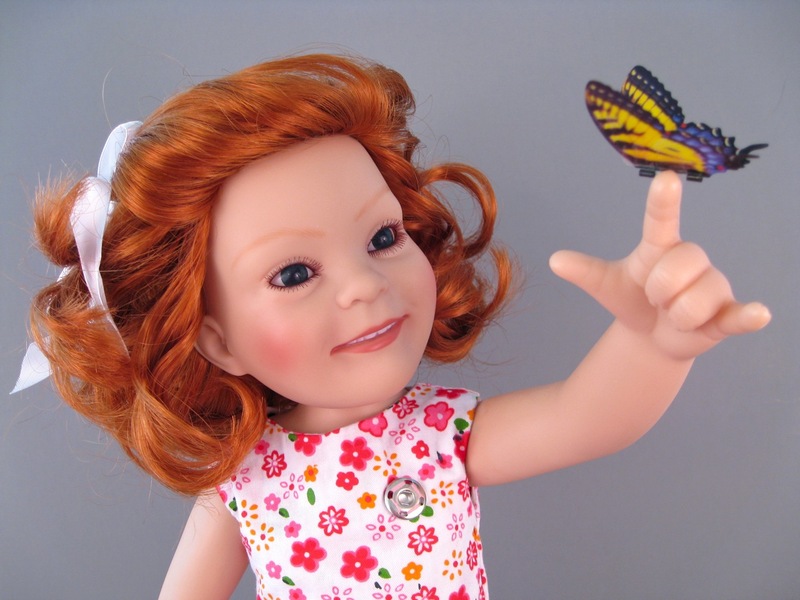 Italian Winx Club Bloom doll (Witty Toys). Happy New Year! I hope everyone welcomed 2014 safely and merrily. I thought I would start this year of reviews by sharing something small and fun that I found at Toys R Us the other day. As many of you know, I love miniature things. One of my dreams is to have a big Victorian dollhouse (like the ones I saw in Arizona...) filled with all kinds of wonderful, detailed tiny accessories. I also get a huge kick out of small versions of larger dolls, so I'm a softy for things like the American Girl mini dolls, the old Liv Happy Meal toys, Annette Himstedt's club Kleine dolls, and mini Pullip and Blythe dolls. When I first glimpsed the Monster High pens at Toys R Us, I have to say, I got pretty excited. I wasn't even aware of these toys, so it was a big surprise to see them hanging there on the shelf. After doing some reading online, I discovered that these pens have actually been available in Europe since 2012. Perhaps they've been for sale in the United States, too, but I had never seen anything like them here in Maine. Initially, I assumed that the dolls were miniature figurines, and I was slightly disappointed to learn that they are ball point pens (I imagine myself getting ink everywhere...). However, when I saw that they are dressed like the first wave Monster High dolls, my enthusiasm was renewed. First wave Clawdeen Wolf is my favorite Monster High doll, and I love the idea of having a miniature version of her--pen or not. First wave Clawdeen Wolf and Clawdeen Wolf the pen.